Welcome to day one of my Week of Christmas Cookies! Like most of my mornings, it just seemed right to start it off with a coffee kick. 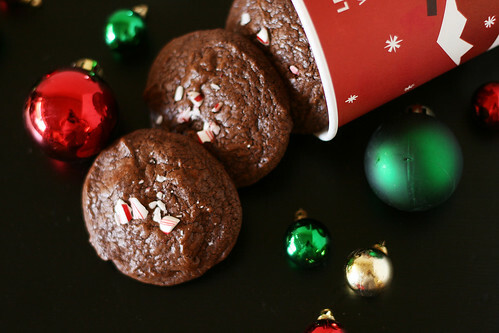 You know it’s the holiday season when Starbucks rolls out their red cups and special holiday drinks. I probably get a little too excited about it, to be honest. The excitement that comes over me as I take my first sip of a hot Peppermint Mocha is shameful. It’s probably only second to Pumpkin Spice. Am I the only one that can’t imagine a Target Christmas shopping spree without a Peppermint Mocha in my hand? 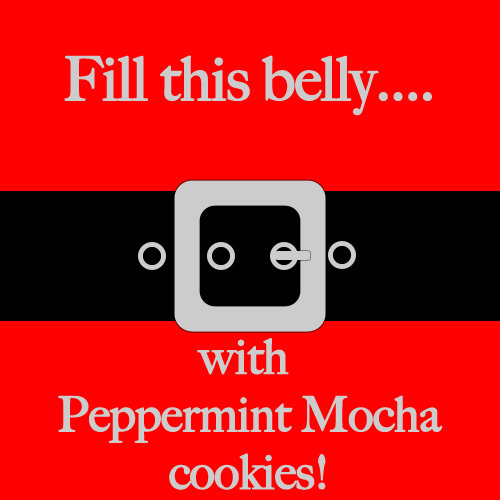 After deciding to include a Peppermint Mocha cookie in my week long feature, I started an online search for recipes already floating around out there. Some of them looked good, but none of them had everything I was looking for. 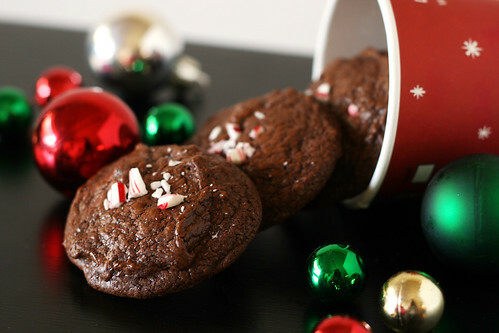 I wanted the cookie to have a melt-in-your-mouth chocolate quality, with a hint of coffee and cool peppermint finish. I also didn’t really want to use candy canes IN the cookie. So I had to adapt a recipe I already have. My first attempt was a flop. I tried using chopped up York peppermint patties, but they melted and spread and the cookies weren’t really cookies as much as they were melty dough patties. Not wanting to stick a peppermint patty in the middle of my cookie, I had to go a different route. Attempt number two was a total SCORE, to say the least. They hit all of my criteria and then some. In a microwave safe glass bowl, microwave the semi-sweet chocolate for 1 minute on high power. Remove from the microwave and stir, continuing heating in 20 second increments until it can be stirred smooth. (Mine took 2 minutes total) While the chocolate is melting, sift together the flour, espresso powder, baking powder, and salt. Set aside. 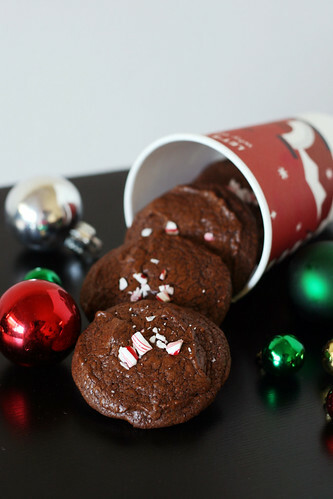 To the melted chocolate, add the butter, brown sugar, and eggs, stir until blended then stir in the peppermint extract. Add the dry ingredients and stir until combined. Finally, add the chocolate chips. Using a cookie scoop, place dough 2-inches apart on the cookie sheet*. Bake for 12-13 minutes or until the tops no longer look wet. Cool on cookie sheet for 1 minute, while cooling garnish with crushed candy canes, then transfer to cooling rack to cool completely. *Do NOT chill the dough in the fridge. It will look wet, like it will spread and make a mess, but it won’t. Chilling will make the cookies more tough and less visually appealing. Spoken from experience.